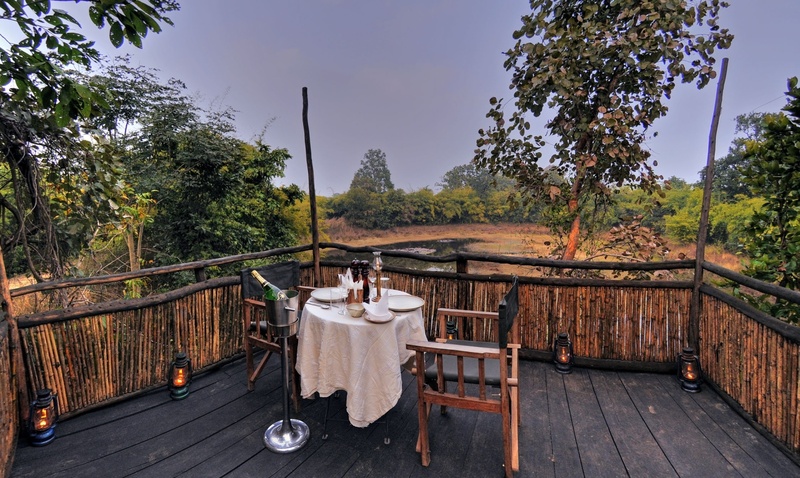 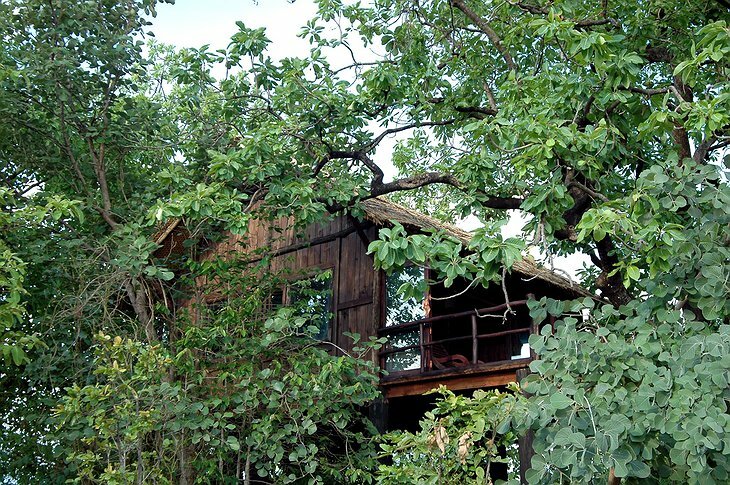 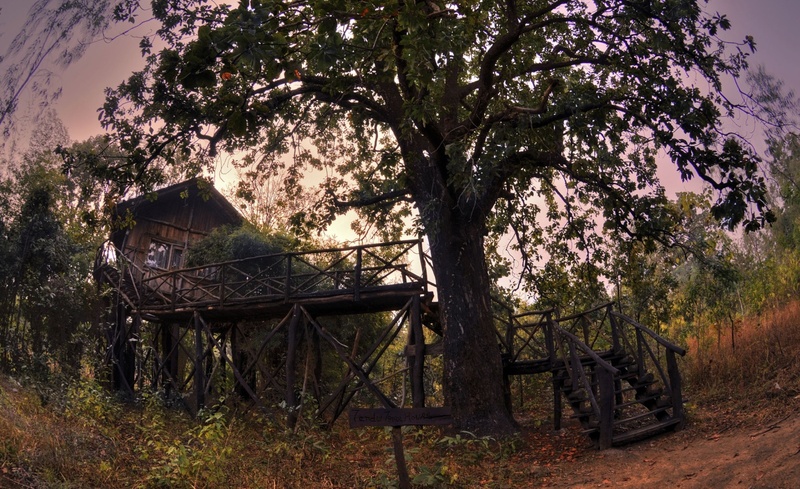 Deep in the Tiger country of India there is a treehouse available to guests. 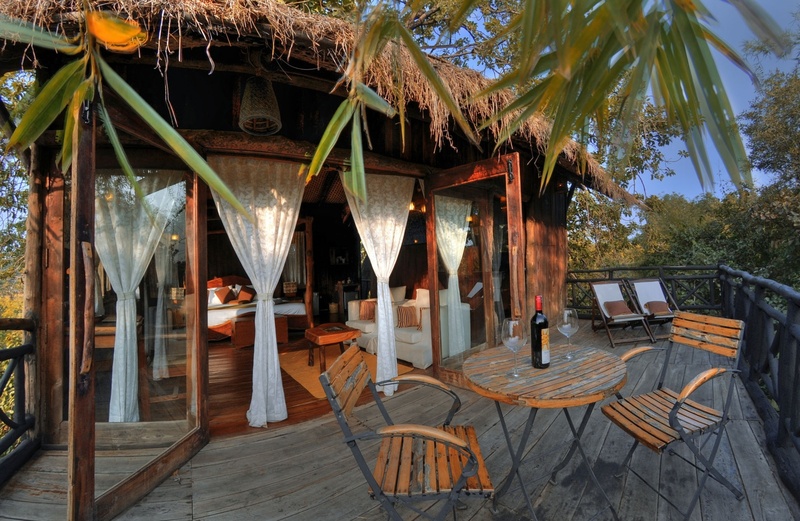 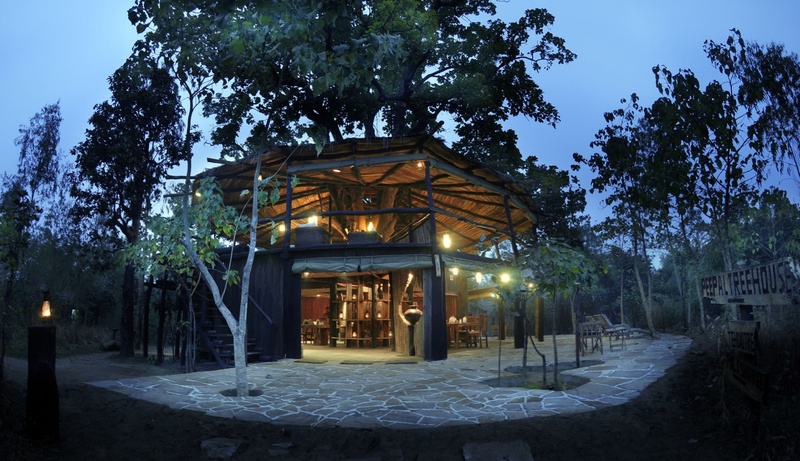 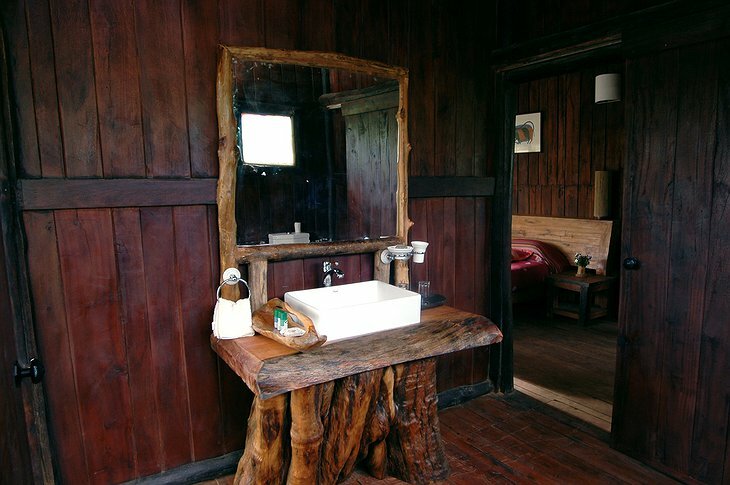 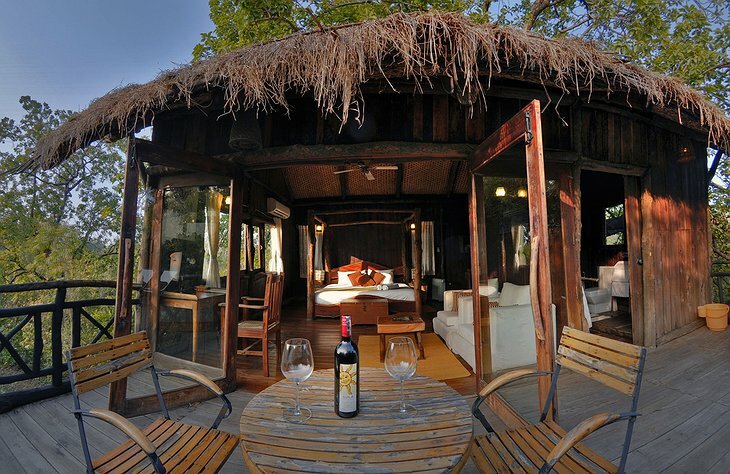 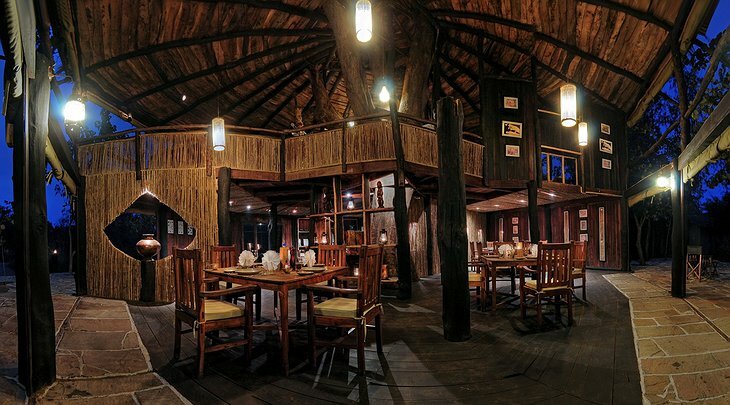 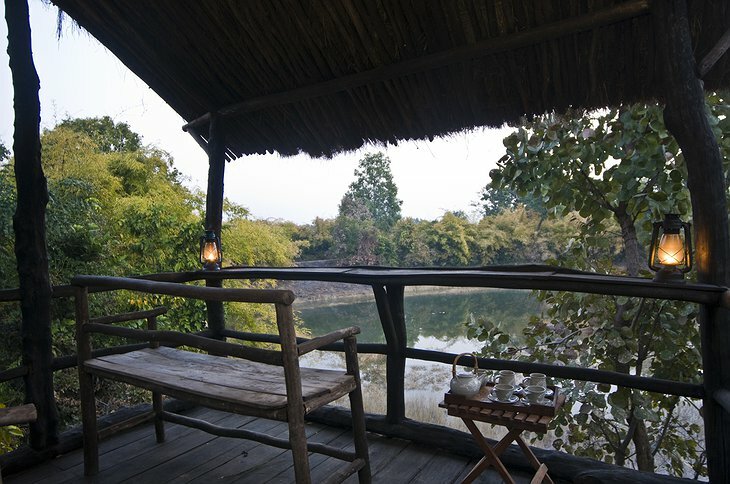 Reception is also a treehouse with a large social area and viewing deck where you can see animals use the local water hole. 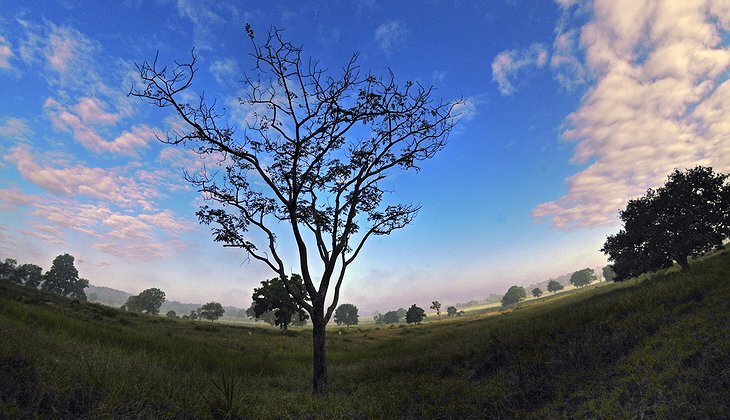 You will commonly spot jackal, wild boar and rare species of deer. 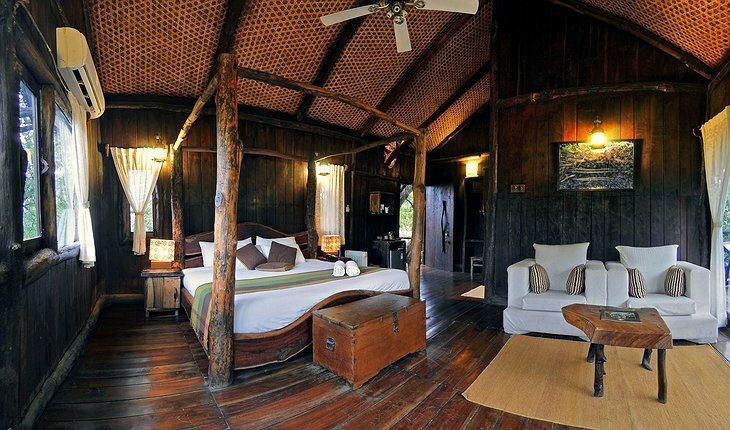 Your treehouse is spacious and has an open-air shower and balcony. The decoration draws inspiration from local tribal colours and patterns, rugs and throws. 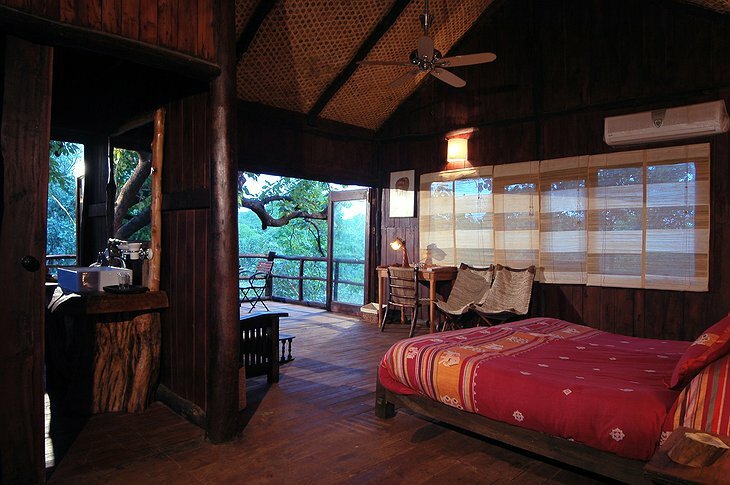 It makes for a comfortable experience high up a tree in the jungle. 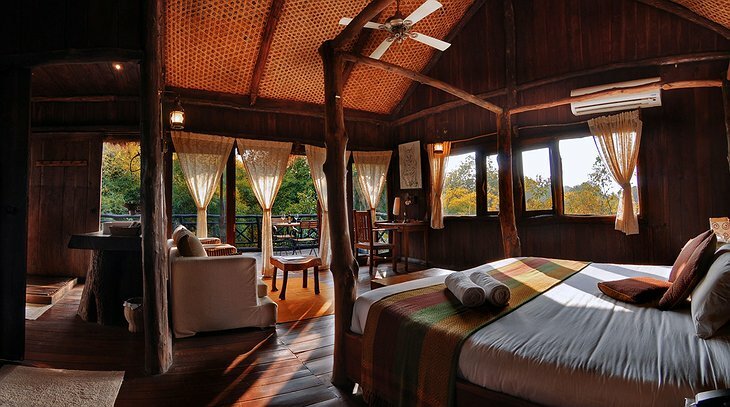 Indeed, the trunk of the tree remains one of the main features of your room and the polished wood structure accents the vibrant nature of your treetop surroundings. The hotel has jeeps that will take you into the Bandhavgarh nature reserve which has the densest population of Tigers in India. 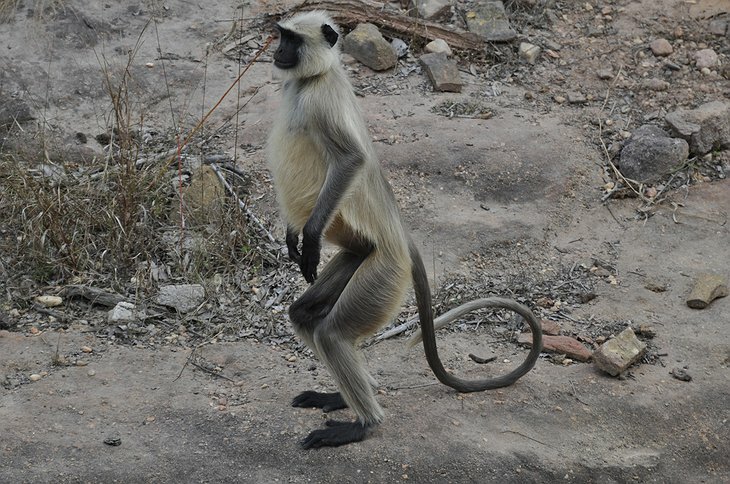 They run two safaris a day and you are accompanied by a naturalist to guide you through the jungle formalities. 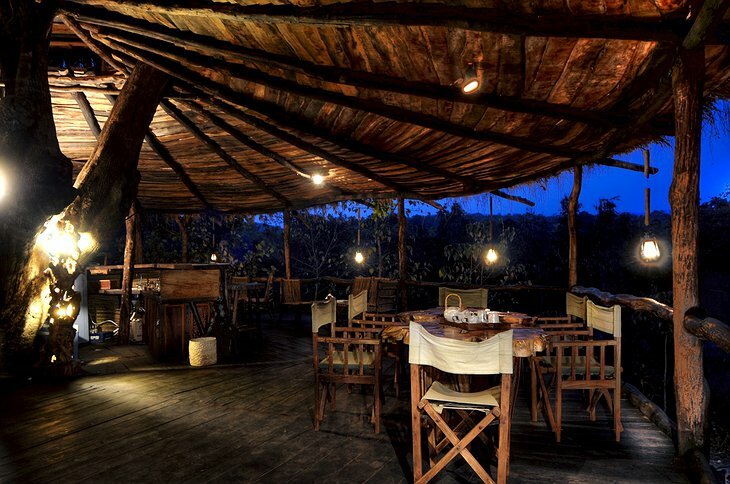 In the evening there is a campfire for you and your fellow travelers to swap tales in situation reminiscent of a Kipling story.